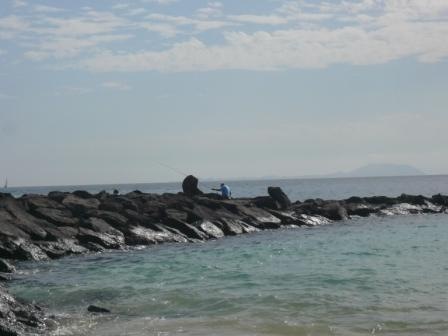 For those holiday makers and residents that enjoy a spot of sea fishing, here’s our guide to shore fishing in Lanzarote. 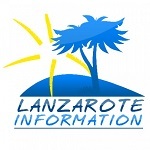 You should have a Licencia de Pesca Marítima de Recreo (fishing license) to fish in Lanzarote, the solicitud (application) can be obtained at the Cabildo in Arrecife. Ask for a “Solicitud de licencia pesca,” complete the form, then take it with your passport or DNI to the correct office within The Cabildo, they will give you the Santander bank details to pay €15 into for a three year license, you need to go and make the ingreso (payment) on Tuesday or Friday between 1000 and 1100 and return with the receipt for your license. 1a Clase: Pesca Marítima Recreative de Altura. Fishing from the shore. 2a Clase: Pesca Recreativa Submarina a Pulmón Libre. Spear fishing. 3a Clase: Pesca Recreativa de Superficie. Fishing from a boat. If you want to request 2a clase you need a medical certificate to say you are fit to free dive for submarine fishing and if the application is for a child under the age of 16 then parental consent is required. Having said that you require a license it seems that in Lanzarote we are very relaxed about shore fishing as long as you stay clear of swimmers on the beaches and out of the marinas. Many of the local resident fishermen and holiday makers have never been asked for a copy of their license and enjoy hours relaxing around the coasts of Lanzarote fishing for their supper. One benefit of applying for your license is that you will be issued charts identifying the local fish and size charts, so if you want to know what fish you can catch in Lanzarote. Popular fish to catch and eat are Cherne, Dorado, Vieja and Sardina, there are lots of Barracuda in the water too so watch your fingers if you hook one of them! Playa Blanca – its popular down by the lighthouse, and the breakwater off the far end of Playa Dorada. Costa Teguise – lots of breakwaters along Playa Las Cucharas, Playa del Jablillo and off the rocks at Playa Bastian. Puerto del Carmen – off the rocks behind the tourist information office (C/ Anzuelo) and the small beach Playa del Barranquillo near Hotel Antonio. Suggestions for success so far have been bread flake, raw chicken, live bait, squid, crab, bacon, prawn. Fishermen have been swept off the rocks or slipped into the sea in Lanzarote, please don’t risk your safety when fishing in Lanzarote. Blue Marlin is a two bed, two bath villa with private swimming pool in a quiet area of Playa Blanca. It has a very private walled garden.